For some people, the untamed beauty of the bayou is a place to hide. For Louisiana wildlife agent Jena Sinclair, it's a place of refuge-one where she can almost forget the tragedy that scarred both her skin and her soul. But when the remains of yet another fisherman turn up, Jena realizes that Bayou Pointe-aux-Chenes is not safe for her...or anyone else. The mysterious deaths aren't her only problem. 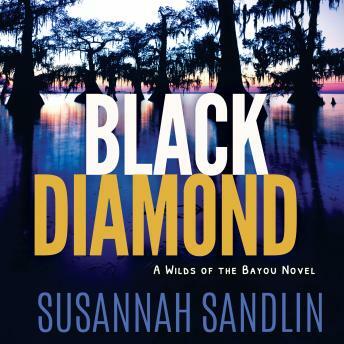 A dangerous drug known as Black Diamond is circulating through Terrebonne Parish, turning addicts into unpredictable sociopaths. Jena's investigation leads her to Cole Ryan-a handsome, wary recluse struggling with his own troubled history-who knows more than he's willing to admit. If they want to stop the killer, Jena and Cole must step out of the shadows of their pasts and learn to help each other...before the evils lurking in the bayou consume them both.